On Saturday, the Wall Street Journal published a deeply concerning report about the Trump administration reversing its decision to exit the Paris Climate agreement. Trump administration officials said Saturday the U.S. wouldn’t pull out of the Paris Agreement, offering to re-engage in the international deal to fight climate change, according to the European Union’s top energy official. The shift from President Donald Trump’s decision in June to withdraw to renegotiate the landmark accord or craft a new deal came during a meeting of more than 30 ministers led by Canada, China and the European Union in Montreal. The White House issued a statement to NBC News’ Kelly O’Donnell, denying the explosive claim. 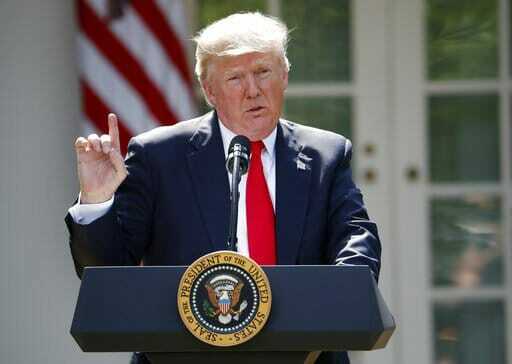 The Trump administration is still leaving the international agreement and retains the right to negotiate more favorable terms for the U.S.
“NEW: WH officials say “NO CHANGE” on US position regarding Paris Agreement on climate change after report,” tweeted O’Donnell. NEW: WH officials say "NO CHANGE" on US position regarding Paris Agreement on climate change after report. According to the EU’s top energy official, the U.S. has said it will “not renegotiate the Paris Accord,” but will instead review its terms, the Wall Street Journal said. Four months ago the White House said it would either renegotiate or withdraw from the climate treaty, which has been signed by 189 of the world’s 192 nations. The treaty has also been backed by numerous American citites. The Trump administration’s shift from rejection to being willing to renegotiate the landmark accord or negotiate a new deal came during a meeting of more than 30 ministers led by Canada, China and the European Union in Montreal, the Journal said. The agreement is very much unpopular in the U.S.
A poll by CSP Polling shows a plurality of Americans agree with President Trump’s decision to withdraw the United States from the flawed Paris Climate Accord. This is despite the fact that the liberal mainstream media overwhelmingly attacked the president over his decision to drop US commitment to the international agreement. The Paris Climate Agreement will cost at least $1 trillion per year. CSP Polling’s newest poll shows a plurality of support for President Donald Trump’s proposal to renegotiate the Paris Accords. Nationally, by a 42/37 split, Americans support renegotiating the Paris Accords with better terms to benefit the U.S.; 21% were undecided. Support for the proposal splits along party lines: 48% of Republicans support renegotiation while 30% oppose renegotiation; 22% expressed no opinion. Only 39% of Democrats support while 45% oppose it; 16% did not have an opinion. Independents split evenly — 39/38 — between support and opposition; 23% had no opinion. Among gender lines, men support renegotiation by a 7-point margin, 47/40, whereas women support it by a 3-point margin, 37/34. We found plurality support for renegotiation among standard age blocs, with 65+ having highest support (48/39) and 35-44 having the lowest support (38/36). Dividing respondents along geographic lines reveals uniform support for renegotiation among in all major U.S. regions except the West, which splits evenly at 40/40.